Keto dinner ideas can be challenging when you first start on the Keto lifestyle. Even if you’ve been eating Keto for awhile, coming up with new Keto dinner recipes to add to your weekly meal plan can be tough! 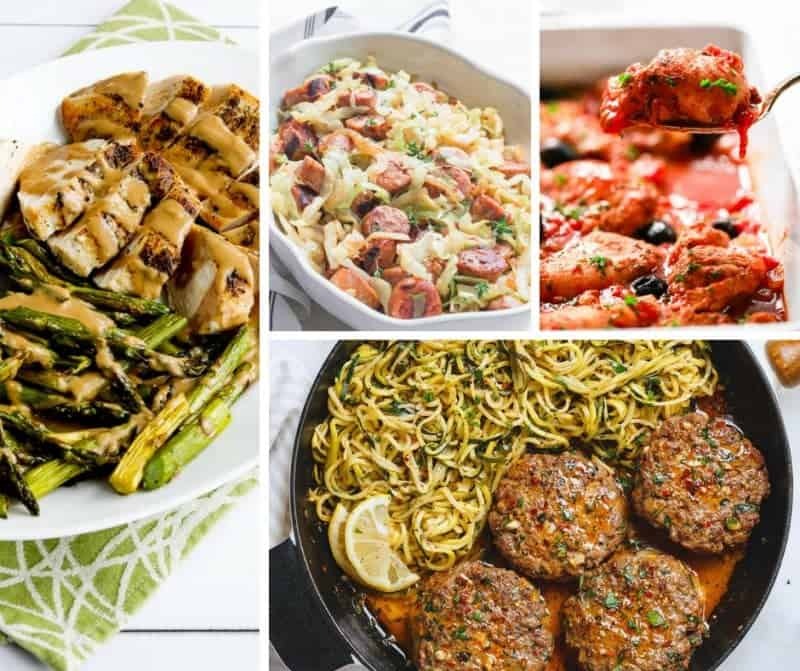 That’s why these 20 delicious Keto dinner ideas are a must-save! Going into a new eating plan, I’m always so gung-ho. Filled with confidence, I break out my weekly meal planning sheet, sharpen my pencil, and…stare blankly wondering what in the world I can actually make for dinner that’s “allowed” on this new venture. 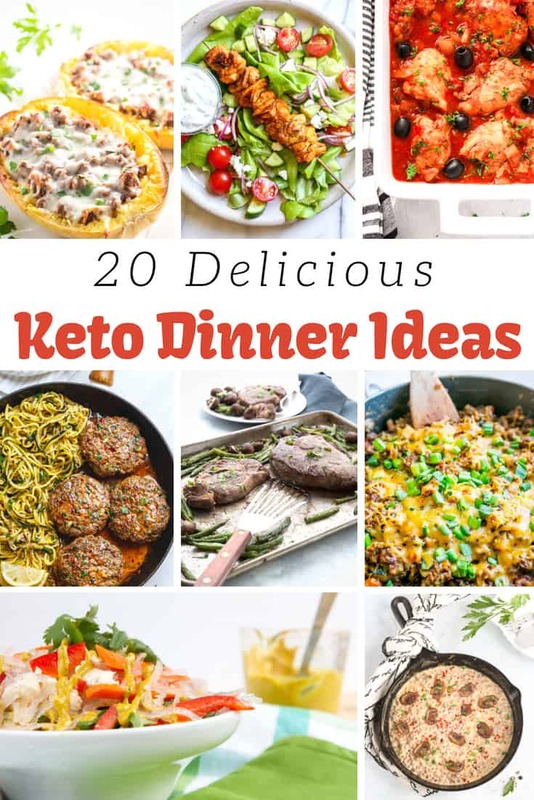 Chances are that if you’re starting a Keto diet that you’re wondering what you can put down for Keto dinner ideas too. 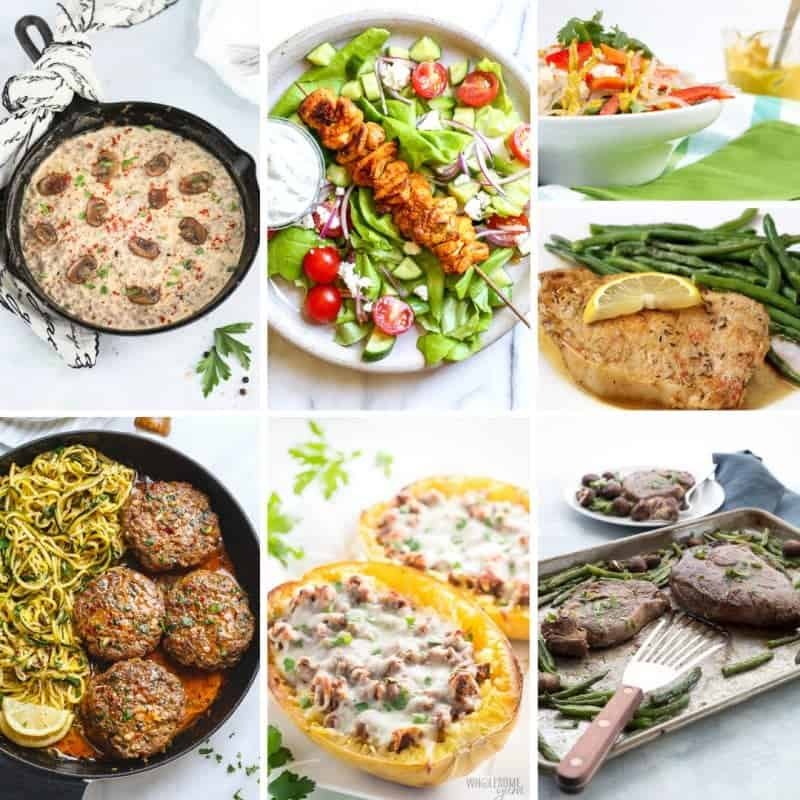 Not to fear, I gathered up some of our favorite Keto dinner recipes and have them below. 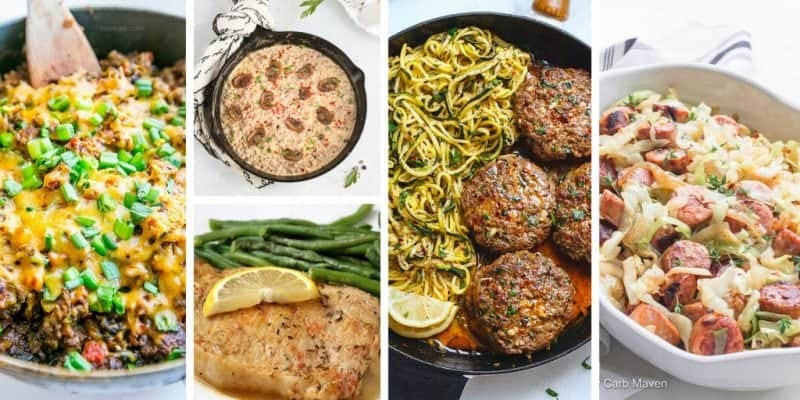 There are 20 delicious options for dinner that are not only Keto-approved, they don’t take forever to make. Hallelujah! One of the tricks to sticking with a new diet or way of eating of any kind is to plan out your meals. That’s especially true when you’re tackling a Keto lifestyle. If you don’t plan out what you’re going to be eating for dinner (or breakfast and lunch! ), the odds of you reverting to your old ways are pretty high. Take the time to plan out and prep your Keto dinners at the start of each week and you’ll find it’s a lot easier to stick to! Of course, no meal plan would be complete without dessert and special drinks, so be sure to add these Keto Desserts and Keto Drinks to your weekly list as well. Do you have a favorite Keto dinner idea that I missed? Leave a link to it below! I’d love to continue adding to my list of Keto recipes! Such a great collection of dinners! Thanks for the shout-out for my Chicken and Asparagus with Tahini Sauce!